The Journal of Research (Humanities) is an open-access, annual, peer-reviewed publication which follows the double-blind peer review process. 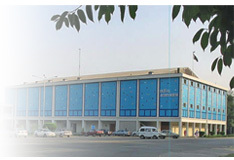 The Department of English Language and Literature, University of the Punjab has been publishing it for more than half a century. Having secured the recognition by the Higher Education Commission of Pakistan, the journal covers all disciplines traditionally placed under the head of Arts and Humanities. Currently it is being indexed by MLA Directory of Periodicals, EBSCO, Humanities International Index, Humanities International Complete, Humanities Source, Literary Reference Center Plus, Political Science Complete, Communication Source, Research Bible, Internet Archive and Library of Congress Online Catalog.